No biggie, just some lunch from Whole Foods. I rarely eat out for lunch, but had to run over that way and pick up Grover’s special million dollar cat food. 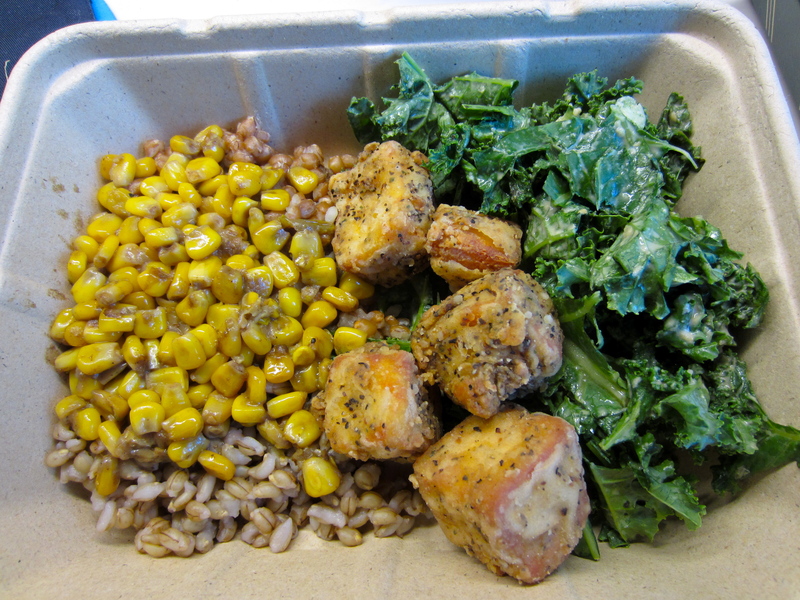 It’s barley and wheat berries with curried corn on top, a few chunks of southern fried tofu and a big pile of garlicky kale.